Better Trails is a social enterprise founded to promote the ethical and responsible use of the outdoors and green spaces. Blessings in a Bag is a purpose-driven organization for youths to be the change they want to see in their world, and to manage on-going programs for disadvantaged youth and communities as well as run CSR campaigns for big corporates. Hemispheres Foundation provides educational enhancement programmes on environmental and social affairs. Little Climate is a social enterprise working on building climate awareness in fun and unconventional ways. People’s Movement to Stop Haze (PM.Haze) envisions a world where everyone feels responsible for the clean air we all enjoy. Its mission is to empower people in Singapore with the knowledge, values and means to be drivers of global action to stop haze. 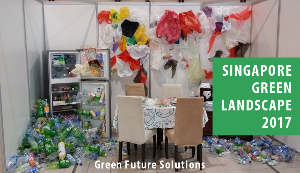 Sustainable Living Lab (SL2) is a social enterprise that aims to build a Sustainable Future through community building, technology experimentation and social innovation. The Upcycling Factory is run by a team of individuals who see huge potential for human empowerment in material surplus and work tirelessly to make them a reality.